If you are looking for a nice restaurant with a million dollar in Sydney then you’ve come to the right place. It isn’t every day that we get the chance to endeavour a fantastic dining experience, but when we do, we usually turn to a friend or google for recommendations. Sydney, a place known for its plethora of great restaurants and a vast variety of cuisines, can be thoroughly enjoyed with a beautiful view. This is usually accompanied by a view of Sydney’s water or skyline. Diners who get the opportunity to appreciate the views are able to enjoy more than a great meal at the restaurant. Why not grab a cocktail afterwards and enjoy the night at one of Sydney’s 5 Spectacular Cocktail Bars? Whether the occasion is an anniversary date, a birthday, a special celebration or just looking to spoil yourself and your partner, here are our 5 top restaurants with a fantastic view that will enhance your dining experience for a memorable time in Sydney. Located at The Rocks in the Shangri La Hotel building on the 36th floor, Altitude is one of a few Sydney restaurants with a 3 Hat Rating. What does this mean? A Hat Rating is a prestigious award in the hospitality industry that is awarded based solely on the food alone. It is broken down into 6 judging categories ingredients, taste, presentation, technique, value, consistency. Be sure not to become too overwhelmed by the amazing quality of food and service at the Altitude that you forget about the sensational view of the two iconic landmarks from above; The Sydney Harbour Bridge and Sydney Opera House. Altitude offers contemporary Australian cuisine in a dimly lit restaurant for an intimate atmosphere. 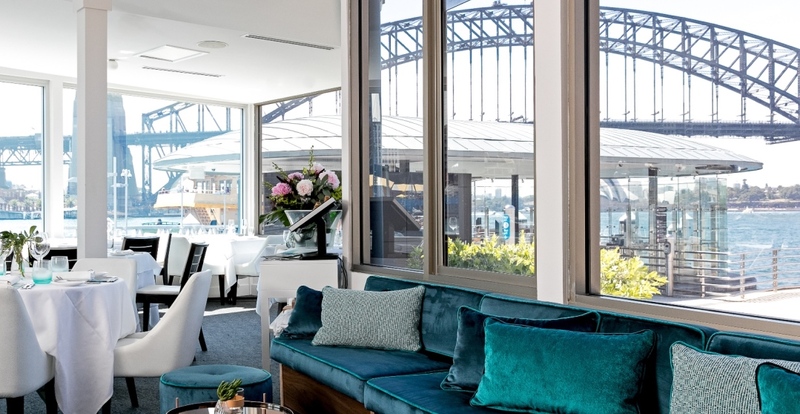 Perfect for a romantic date, it also boasts a five-metre tall, floor to ceiling window to overlook the amazing Sydney Harbour view. Altitude is the perfect dining spot for any special occasion that demands a superior view. 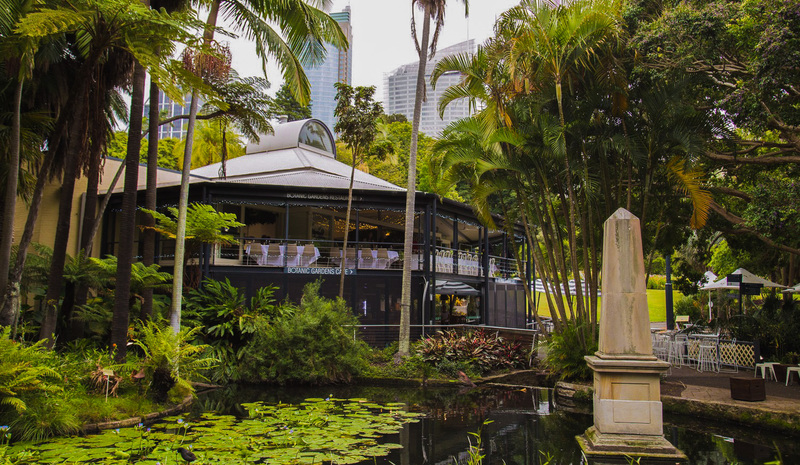 Hidden away in the heart of the famous Sydney Royal Botanic Gardens, The Botanic Gardens Restaurants offers both an indoor and outdoor dining experience. The location is surrounded by a beautiful garden and a small pond to provide a serene atmosphere while you dine. Enjoy your meal with a candlelit experience that will be sure to impress your partner for a romantic occasion. The theme of the 19th Century is obvious through the building’s facade and sleek interior, old-fashioned yet well-maintained verandah. The Botanic Gardens Restaurant is an ideal location for a quiet and slow-paced lunch or dinner, away from the bustling Sydney city life. Offering the finest modern Australian cuisine, The Botanic Gardens Restaurant has a menu that will serve everyone including children, gluten-free options and vegetarian meals. Exceptional views of the garden will give you a sense of warmth and coziness as you dig into your well-presented meal. The sound of water trickling down from a nearby stream as birds chirp in the distance completes the overall peaceful garden dining experience. 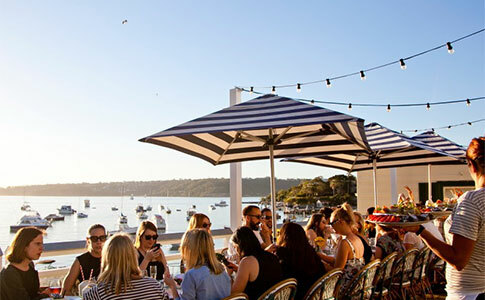 Conveniently located right by the waters, Watsons Bay Boutique Hotel boasts a harbour front dining venue for a myriad of special occasions. Perfect for weddings, family gatherings, parties or casual lunch to catch up with a friend, you definitely won’t be disappointed by the sensational water view on a beautiful sunny day. The venue offers 31 unique rooms to stay at as a little getaway retreat. The menu comprises of a mixture of fresh seafood and seasonal produce that complements the relaxed atmosphere. This venue has gained massive popularity over the recent years due to the great location, lovely atmosphere, delicious food, good company and a fantastic view, especially during sunset. This place is definitely a must try, especially if you are ever nearby or planning to dine somewhere just a bit outside of the Sydney CBD with a view. Did you know that there’s a restaurant at the top of the Sydney Tower? 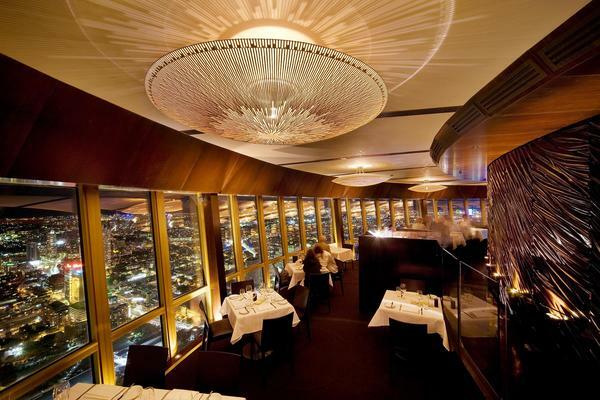 Did you also know that you can enjoy your dining experience with 360 degrees of revolving views of Sydney’s skyline? 360 Bar and Dining offers lunch and dinner meals that you can indulge while you admire the exquisite Sydney CBD. Overlooking the city from the highest point in Sydney there isn’t a better place to dine and experience a view quite like it. 360 Bar and Dining offers fine dining contemporary Australian cuisine. The up-class venue is an ideal location for celebrating a special moment with your partner. The intimate and lavish dining setting along with the million dollar view makes this venue highly desirable. This place is definitely a must try, especially if you’ve never been up to the top of Sydney’s tallest tower. After your lovely dinner, why not drop by the bar and grab a cocktail or two to relax and enjoy the night. Sails on Lavender Bay is a fine-dining restaurant located next to McMahon Point wharf that offers mouth-watering modern Australian cuisine. The venue is positioned in a prime located where diners can experience the spectacular view of the Sydney Opera House and The Sydney Harbour Bridge. The atmosphere and water-front view of Sydney harbour from the restaurant is hard to beat. With exceptional, award-winning meals and unobstructed views of Sydney’s iconic landmarks, Sails on Lavender Bay is without-a-doubt a must for those looking to spoil a significant other for a romantic dining experience or with family members to celebrate a special occasion. What’s a better way to complete the perfect experience than travelling in a luxurious limousine or vehicle with Get Chauffeured. Enjoy the event stress-free and let our professional chauffeurs take care of your transportation needs. We are able to accompany up to 16 people in one of our magnificent limousines. Do it the right way and get the dining experience of a lifetime with the perfect transportation, restaurant, view and company.